Are you looking for more DofE support? School prefects, head boy or girl – why not add a DofE Ambassador into the mix? Who can be a DofE Ambassador? They need to be a current active Silver or Gold participant that has already completed a previous DofE Level. Your DofE Ambassador should be someone enthusiastic, helpful, who would be a great addition to your DofE team! How can they help your Centre? eDofE sessions made easy with more help. Social media, website and newsletter – sorted. “I will sort that kit store one day” – now is your chance! Need a Bronze Leader? Any help chasing Assessor Reports is always needed. Promotional events organised and run by the face of DofE. Do an hour per week – volunteering activity sorted! Tailor the role to their interests – event planning, content creation or leadership? Take their CV or personal statement to the next level. Develop leadership, mentoring and management skills. Be the student voice for DofE. How do I nominate a DofE Ambassador? You can nominate up to two participants to be your DofE Ambassadors by clicking the “Nominate Now!” We will then take them on a one-day training course and send them back to you as a new DofE team member you cannot do without. 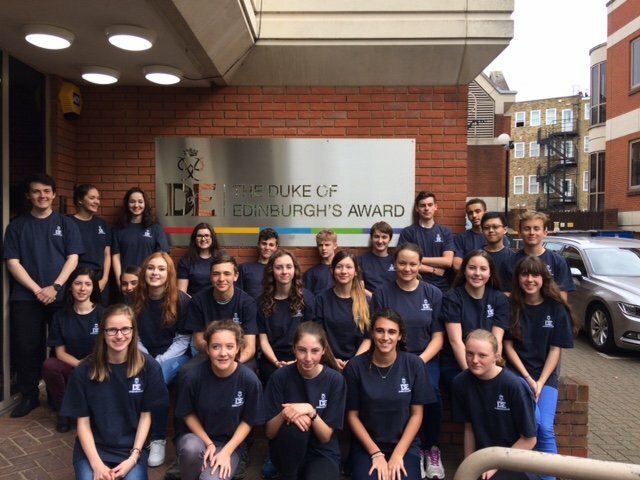 We are now accepting nominations from the Central England Region for active participants who have achieved either their Bronze or Silver DofE Awards (max two Ambassadors per school/centre).